BUFFALO -- U.S. Attorney James P. Kennedy, Jr. announced today that J Julius Hatten, Jr., 28, of Buffalo, NY, was arrested and charged by criminal complaint with being a felon in possession of a firearm. The charge carries a maximum penalty of 10 years in prison and a $250,000 fine. Assistant U.S. Attorney Charles J. Volkert, Jr., who is handling the case, stated that according to the complaint, on August 5, 2018, Buffalo Police Officers observed a black vehicle, traveling eastbound on Winspear Avenue, violating several New York State traffic laws. Officers conducted a vehicle stop and determined that the defendant was not suitable to operate a motor vehicle. As officers attempted to secure Hatten and place him in handcuffs, he pushed the officers away, pulled a firearm from his right waistband, began to flee on foot, and pointed the firearm in the direction of the officers. The defendant was ultimately apprehended on Highgate Avenue. The firearm was a 9mm pistol. 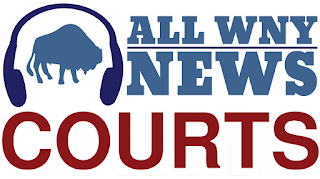 In August 2011, Hatten was convicted of a felony for Criminal Possession of a Weapon Second Degree in Erie County Court and is legally prohibited from possessing a firearm. The defendant made an initial appearance before U.S. Magistrate Judge H. Kenneth Schroeder and was released on conditions following a detention hearing. The complaint is the result of an investigation by the Buffalo Police Department, under the direction of Commissioner Byron Lockwood, and the Bureau of Alcohol, Tobacco, Firearms and Explosives, under the direction of Special Agent-in-Charge Ashan Benedict, New York Field Division.